Few things are more embarrassing than discovering you know nothing about your own city—besides, of course, stumbling upon the fact in the company of others. Over the summer, I had the misfortune of doing exactly that. When a friend asked for recommendations while planning a visit to Chicago, my entire family turned out to be appallingly useless. Fun spots for kids? Nada, though there must be playgrounds somewhere. Fine dining? Off the top of our heads, we could think of one place. More casual places? Not many of those, either, unless you count fast food chains. How about good Chicago-style pizza? Surely, we must know where to find some downtown. Really couldn’t say, but there’s always Domino’s. And forget about interesting sightseeing: Aside from the Bean and the Art Institute, we hardly know what tourists do in this city. Ours might be a more extreme case, but a naive observer would think that attending the University of Chicago precludes extreme ignorance about Chicago. That’s not so. 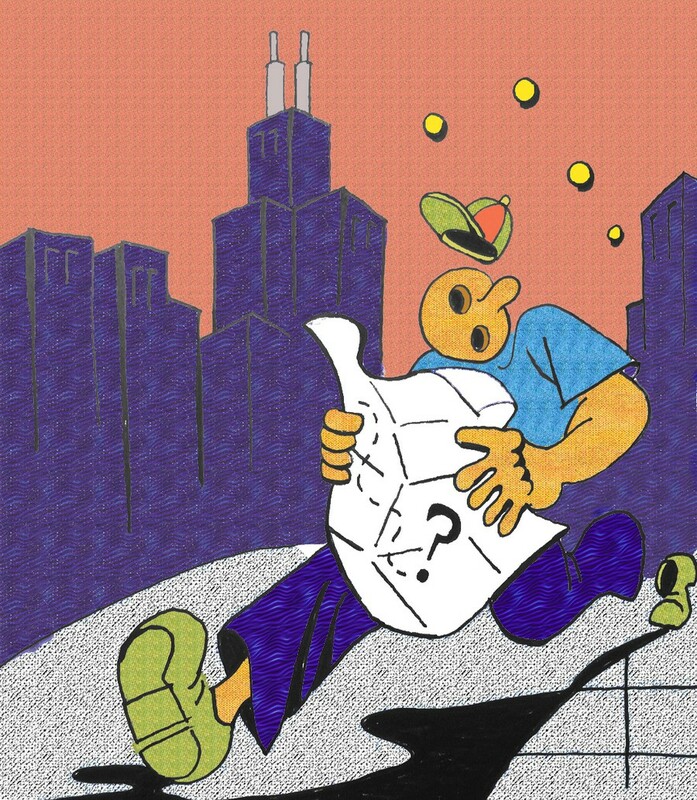 Plenty of UChicagoans, obviously, know a great deal about the city—and plenty know a great deal more than lifelong city dwellers. There are still many of us, however, who fall somewhere on the spectrum of cultural reclusion: from those who know Hyde Park like the back of their hand but couldn’t locate Navy Pier on a map to save their lives, to those whose mental metropolitan maps extend little further north than North Campus itself. But the students can’t be blamed entirely: It’s easy to cling to Hyde Park as though it were an oasis. The few times I can recall venturing out of Hyde Park for fun were trips to grand, obvious, and obligatory landmarks: Millennium Park, the Art Institute, the Riverwalk, etcetera. These are places everyone should visit, but they barely scratch the surface. Restricting ourselves to a few major landmarks gives us an underdeveloped understanding of the city. Many end up seeing as much of Chicago as we might if we were tourists rushing through a frantic weekend trip—which is to say, not very much. And since many students don’t kayak down the river, visit Willis Tower’s Skydeck, or check out the Shedd Aquarium/Driehaus Museum/National Museum of Mexican Art, you could argue that we see less than savvy tourists. The University’s geographical location plays into our relative seclusion—it’s easy to get away with a hermit mentality at UChicago. Hyde Park is just contained and self-sufficient enough to make trips around the rest of the city seem unnecessary and taxing. In fact, there is enough going on in the neighborhood to make it feel like a stand-alone college town. Although that makes our lives much easier, it can push the city around us out of the foreground. Why visit the Magnificent Mile when there are stores near us? Why go downtown to visit a museum or a specific exhibit with the Smart Museum and the Oriental Institute in our backyard? With the advent of Grubhub and a respectable assortment of restaurants within walking distance, who has the time to eat out so far away from campus? Logistical issues certainly don’t help. Leaving Hyde Park can still be a hassle. The University shuttles, U-Passes, and the (now partially walked-back) Saturday dining hall closures are all testaments to the fact that the University is concerned with how little its students leave Hyde Park. The same can be said for the free and discounted admission tickets students get for a range of destinations and performances in the city. And yet, somehow, destinations outside of the downtown area may as well be in different worlds—how many of us have visited the Brookfield Zoo, the Garfield Park Conservatory, or any of Chicago’s interesting neighborhoods, like Pilsen? For your average automobile-deprived student, these destinations seem about as accessible as southern Indiana. This is regrettable, however, because these more far-flung destinations are part of what makes urban exploration worthwhile. Now, between U-Passes, campus shuttles, and the new Metra schedule (with a train going through Hyde Park every 20 minutes), a lot, if not most, of Chicago is very much within our reach. There’s no reason to make Hyde Park the be-all and end-all of the student universe. It’s important to remember that attending school in an interesting city isn’t appealing because we all want to play tourist-on-steroids for four long years. But knowing a city entails a great deal more than transforming into a walking guidebook; it means having a more general understanding of the city’s layout, its various neighborhoods, and its phenomenal cultural attractions—and UChicago’s appeal is in large part predicated on this unadulterated access to the thriving city of Chicago. It’s a shame that you can get away with living in it without learning about it, and it’s about time we became more proactive about changing this state of affairs.